In October Bulgaria will join the privileged group of countries, boasting its own forum and expo dedicated to the automotive industry and the market of automotive parts and components. 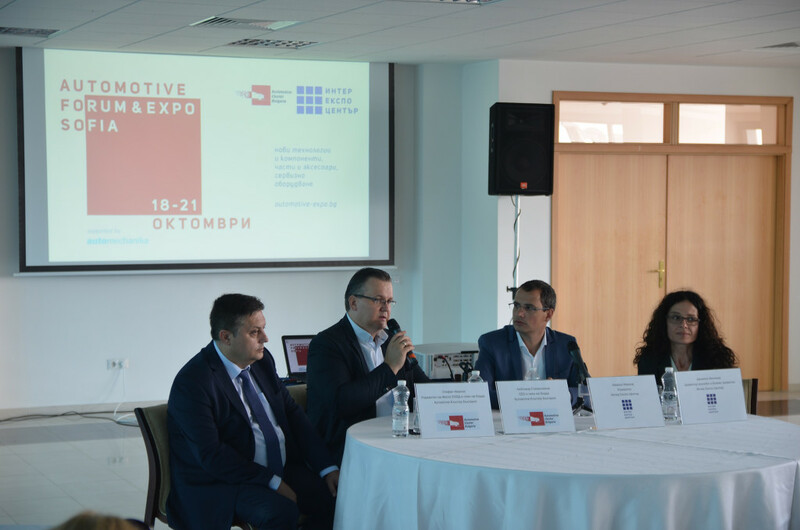 At a special press conference today Inter Expo Center and Automotive Cluster Bulgaria announced the first in Bulgaria AUTOMOTIVE FORUM & EXPO 2018, SOFIA. The event will take place from 18 to 21 October 2018 and will be the first edition of a biennale, taking place every two years. The big news from the press conference is the support the organizers received from AUTOMECHANIKA – the largest international exhibition in the automotive industry. Its Bulgarian analogue will take place a few days after the end of the German exhibition in Frankfurt am Main, with the proud slogan: supported by AUTOMECHANIKA. The first edition of AUTOMOTIVE EXPO 2018 will take place within four days in October and aims to cover all types of new technologies, electric vehicles, auto parts and components, garage and service equipment, accessories and consumables for light and commercial vehicles. The AUTOMOTIVE FORUM 2018 international conference will bring proven global automotive managers to Bulgaria to present the most successful automotive projects in Eastern Europe and Bulgaria. It will consist of Conference, B2B platform for international meetings and Career days for automotive and IT professionals. Special attention will be paid to the future development of the automotive industry over the next decade through tomorrow’s technology demonstrations: Industry 4.0, EVs, Fast Charging, Hybrid Cars and Autonomous Technologies. Leading manufacturers of components for the automotive industry in Bulgaria will present innovations in the industry. Speakers from international OEMs will share the development trends in the sector and present the requirements of their companies to the Bulgarian suppliers. The parallel conducting of the expo and the forum is expected to bring together the key figures in this industry and provide them with opportunities for individual meetings, discussions and new contacts in the days of AUTOMOTIVE FORUM & EXPO 2018, supported by AUTOMECHANIKA. More information about the event will be regularly uploaded on the site and will be published on the facebook page of the event!